A wireless sensor network (WSN) can be construed as an intelligent, large-scale device for observing and measuring properties of the physical world. In recent years, the database research community has championed the view that if we construe a WSN as a database (i.e., if a significant aspect of its intelligent behavior is that it can execute declaratively-expressed queries), then one can achieve a significant reduction in the cost of engineering the software that implements a data collection program for the WSN while still achieving, through query optimization, very favorable cost:benefit ratios. 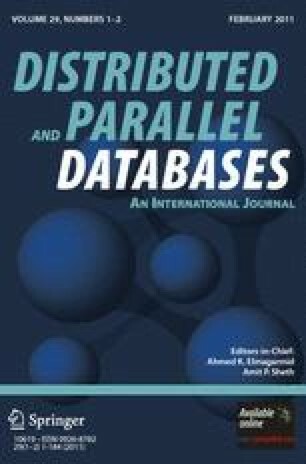 This paper describes a query processing framework for WSNs that meets many desiderata associated with the view of WSN as databases. The framework is presented in the form of compiler/optimizer, called SNEE, for a continuous declarative query language over sensed data streams, called SNEEql. SNEEql can be shown to meet the expressiveness requirements of a large class of applications. SNEE can be shown to generate effective and efficient query evaluation plans. More specifically, the paper describes the following contributions: (1) a user-level syntax and physical algebra for SNEEql, an expressive continuous query language over WSNs; (2) example concrete algorithms for physical algebraic operators defined in such a way that the task of deriving memory, time and energy analytical cost-estimation models (CEMs) for them becomes straightforward by reduction to a structural traversal of the pseudocode; (3) CEMs for the concrete algorithms alluded to; (4) an architecture for the optimization of SNEEql queries, called SNEE, building on well-established distributed query processing components where possible, but making enhancements or refinements where necessary to accommodate the WSN context; (5) algorithms that instantiate the components in the SNEE architecture, thereby supporting integrated query planning that includes routing, placement and timing; and (6) an empirical performance evaluation of the resulting framework.